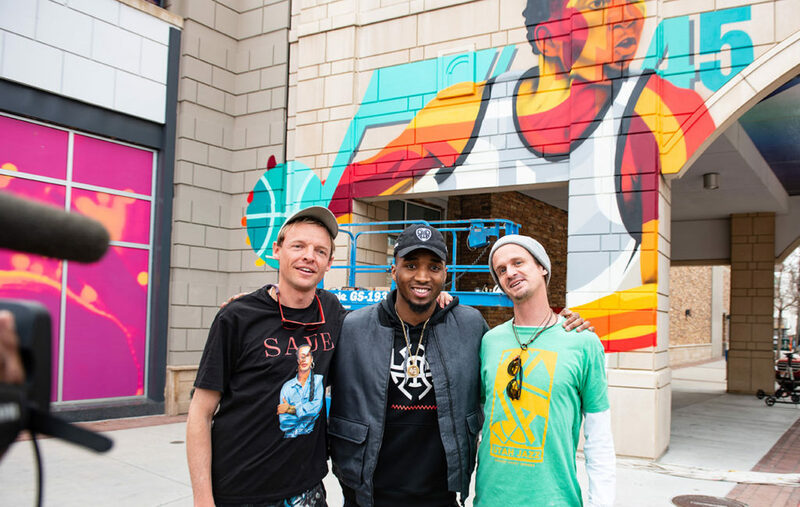 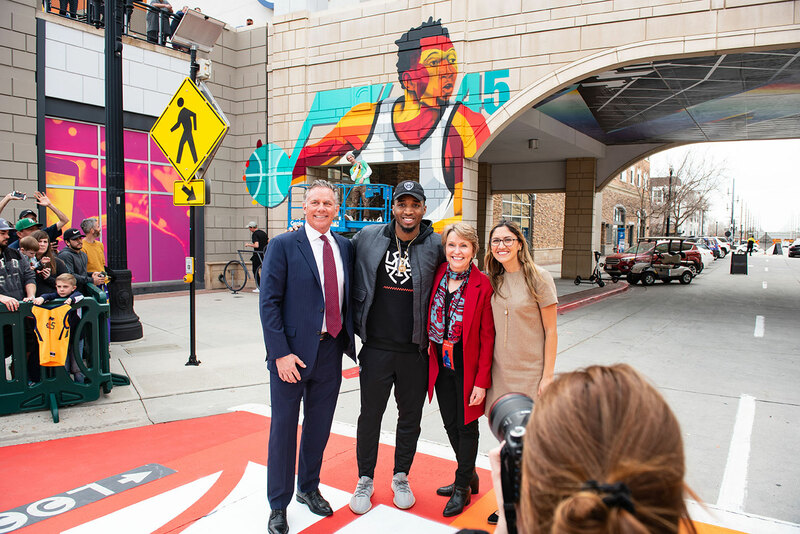 Created in collaboration by local artists Chuck Landvatter and Jared Andrew Smith, new mural artwork graces the pedestrian span that crosses 100 South at Rio Grande Street. 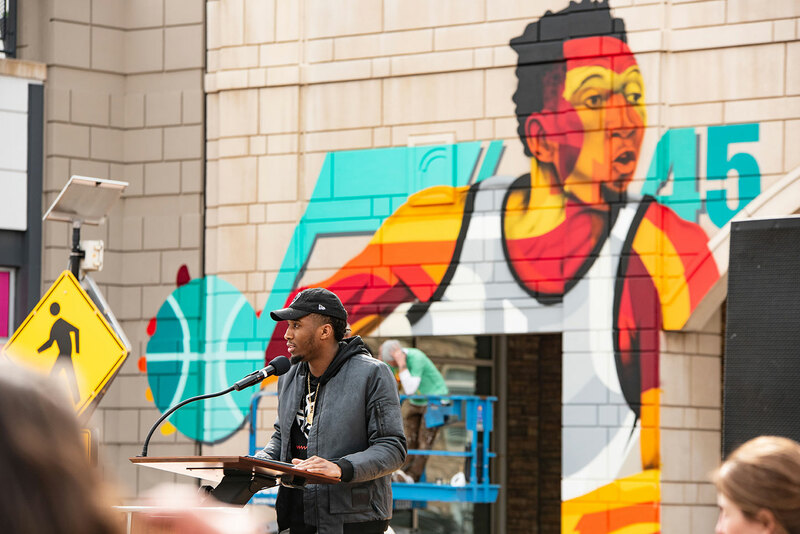 The new art installation joins more than 30 commissioned art installations at The Gateway. 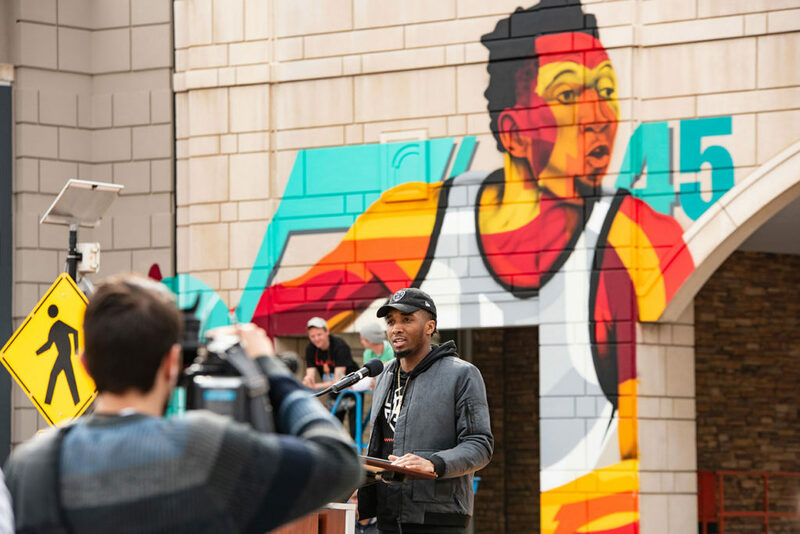 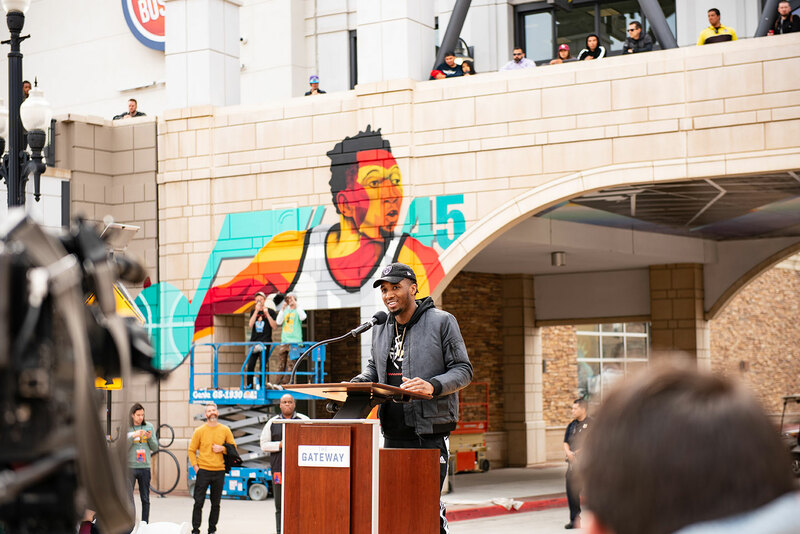 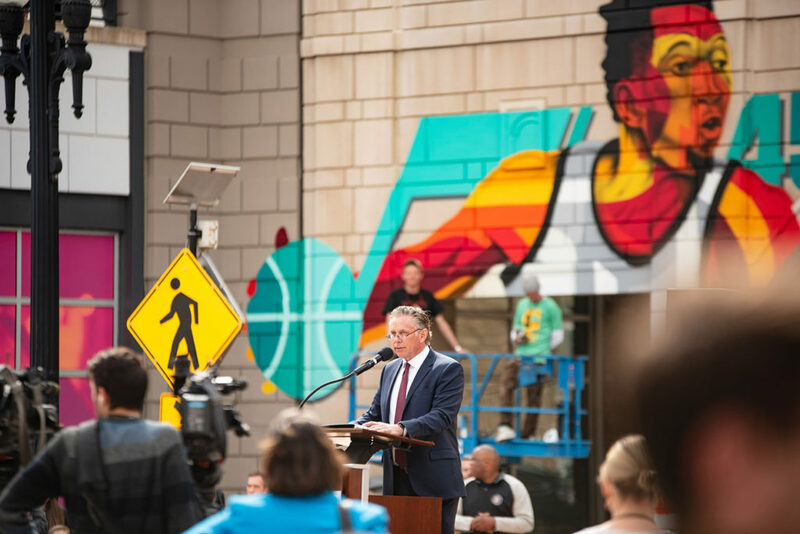 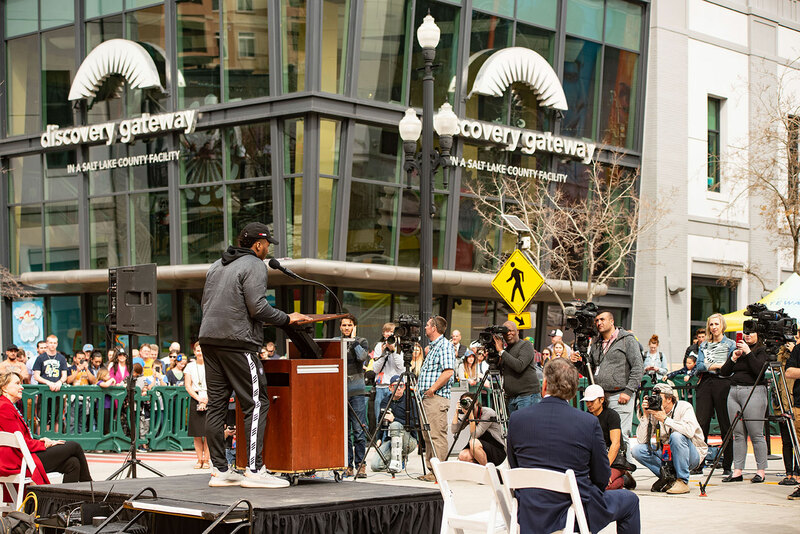 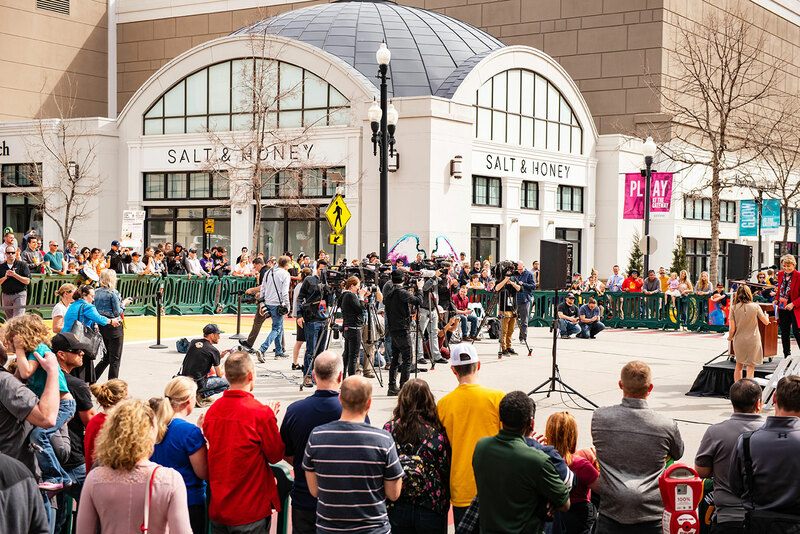 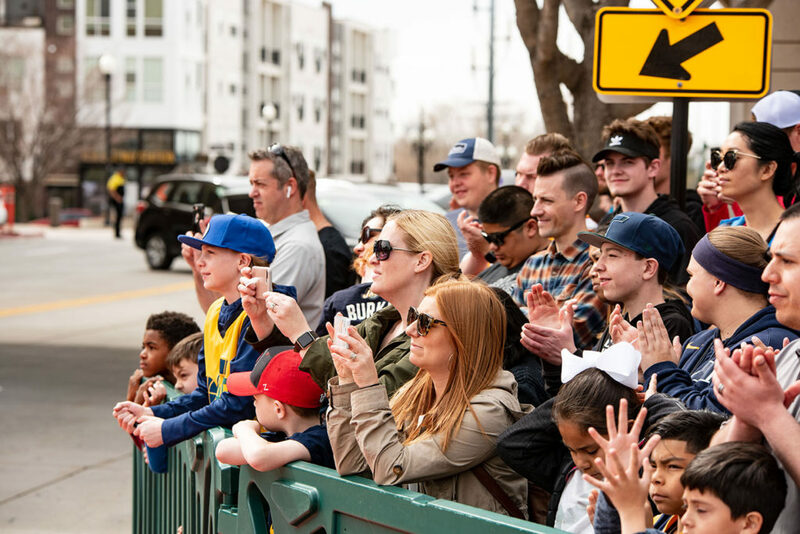 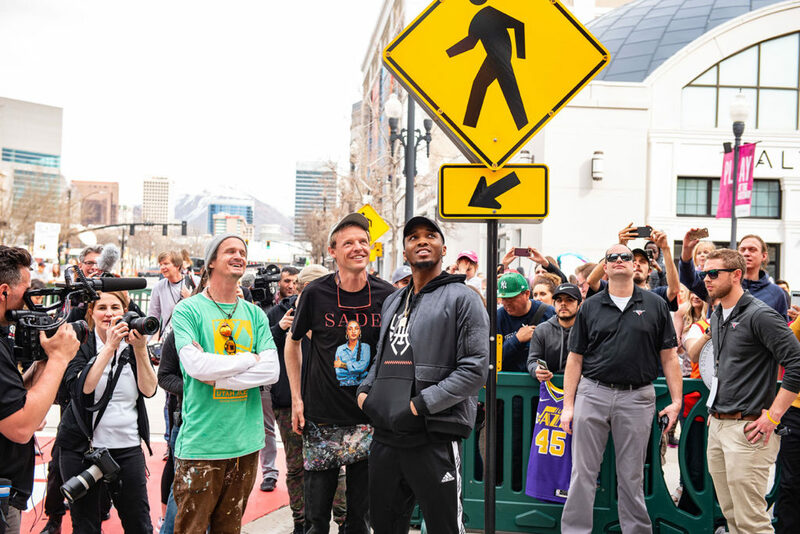 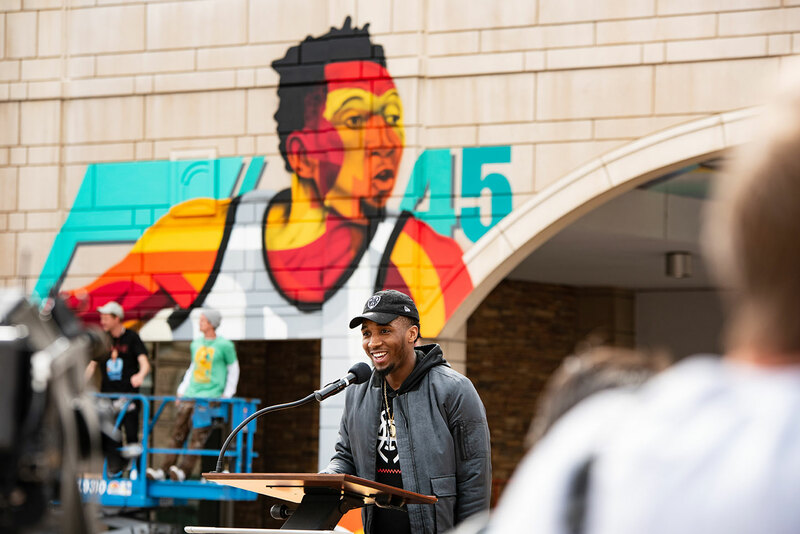 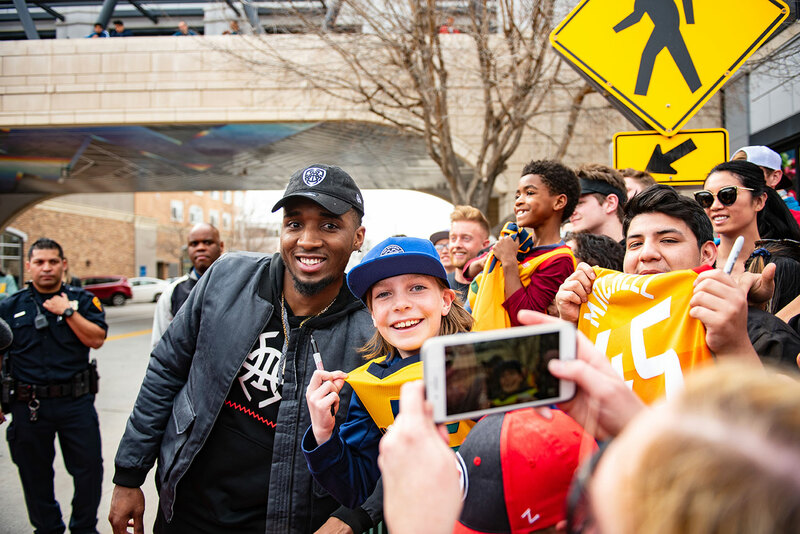 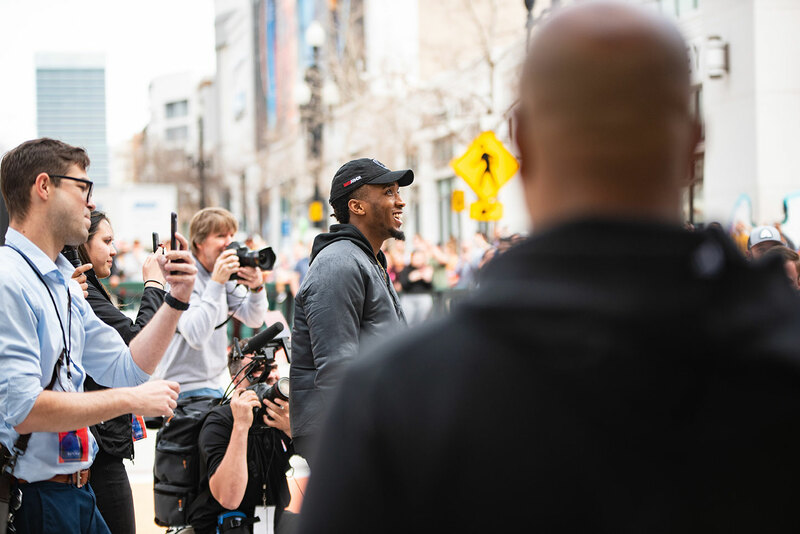 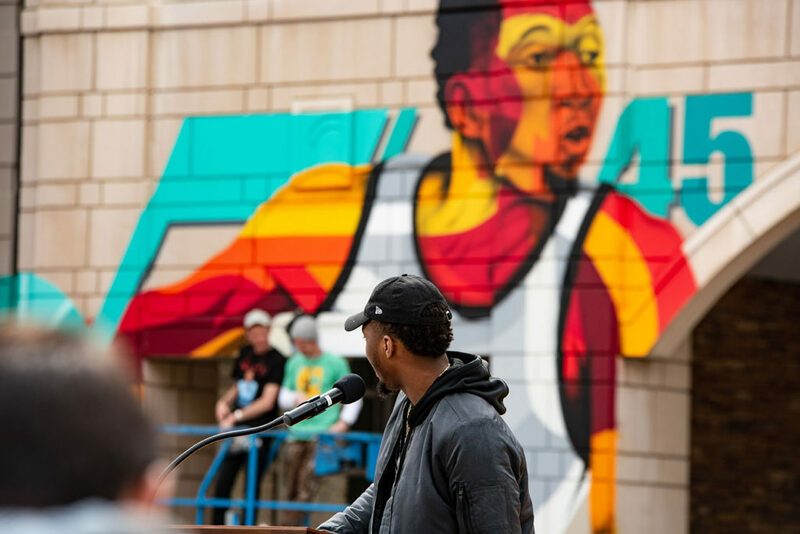 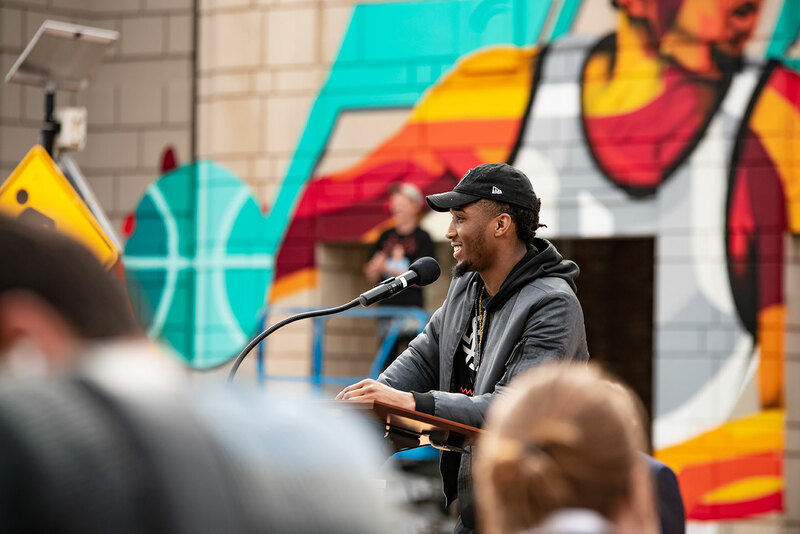 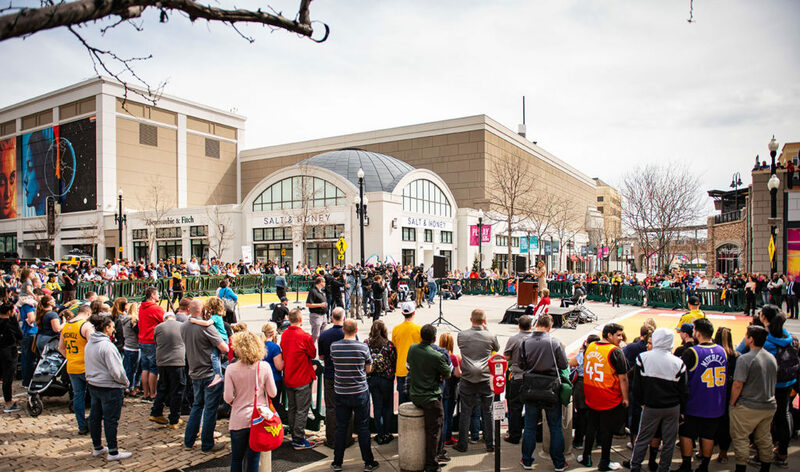 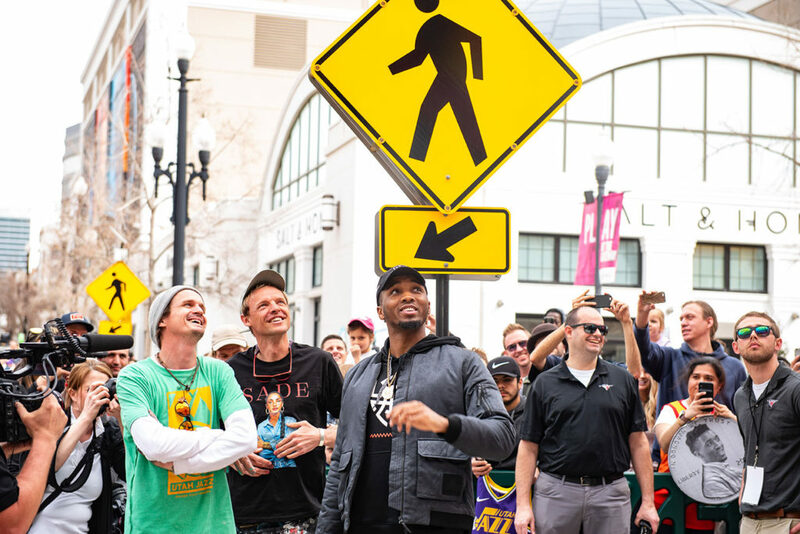 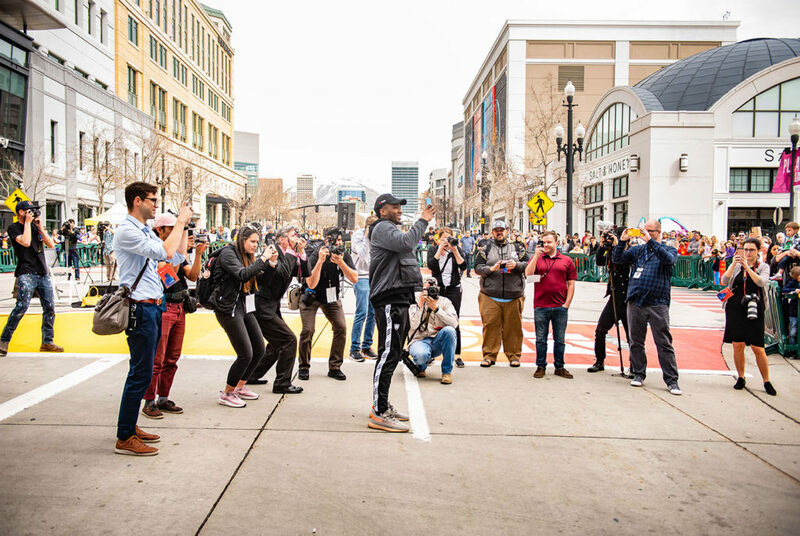 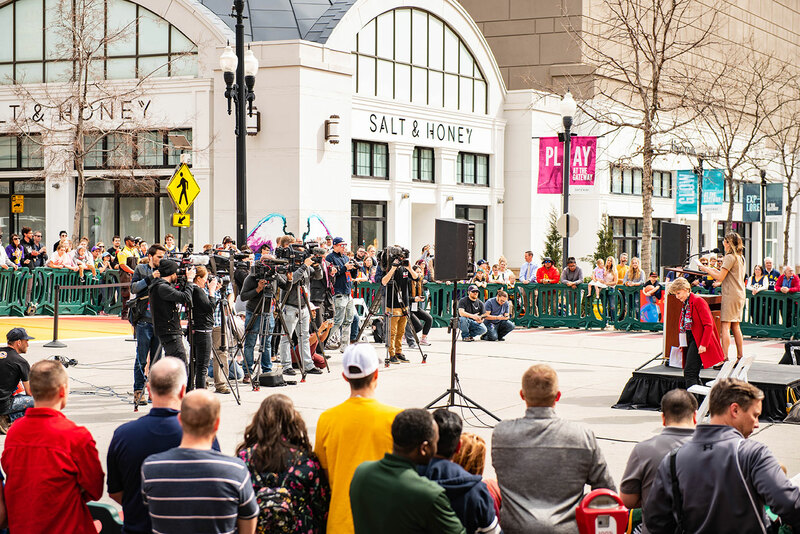 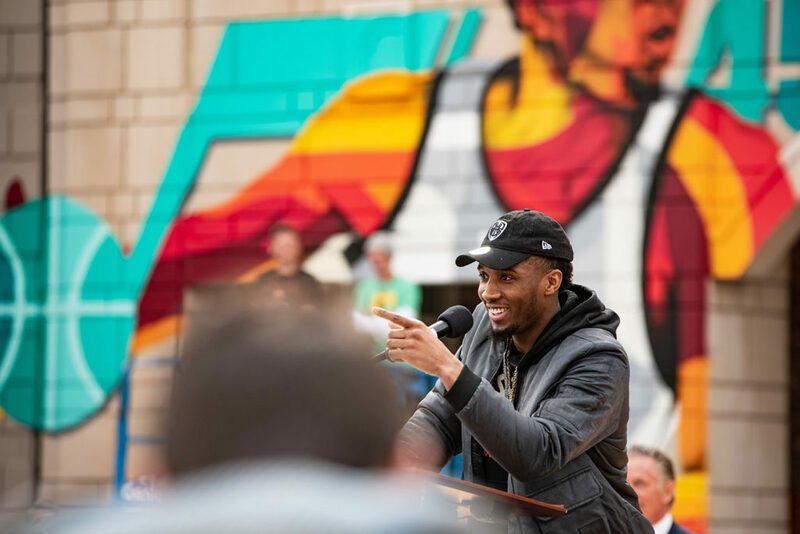 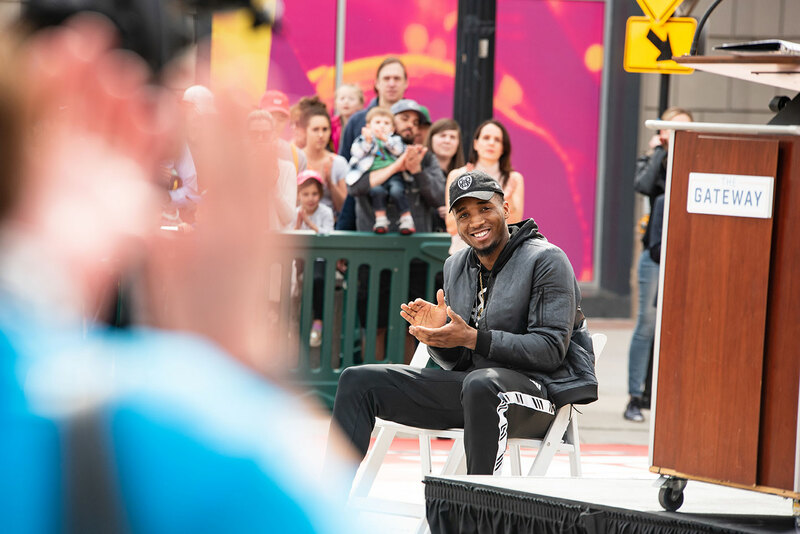 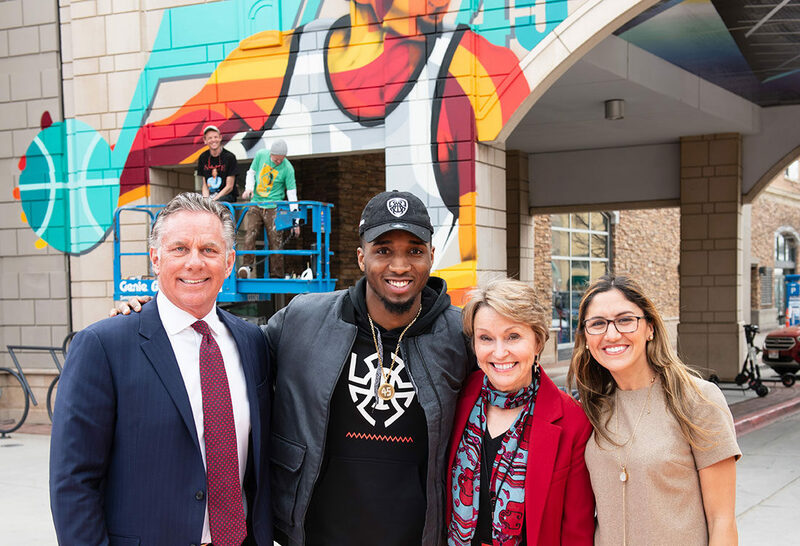 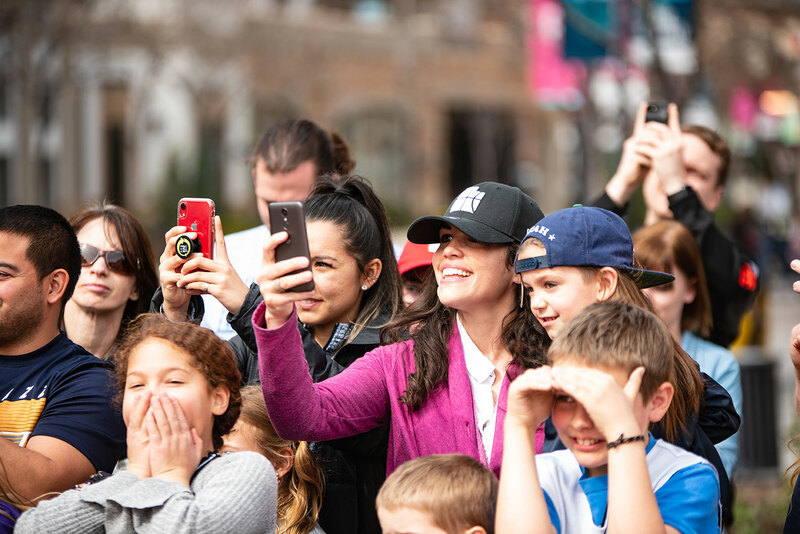 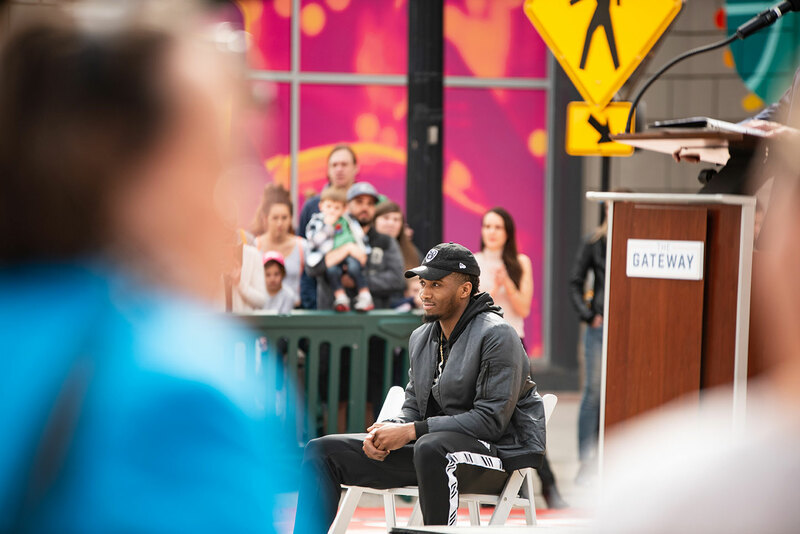 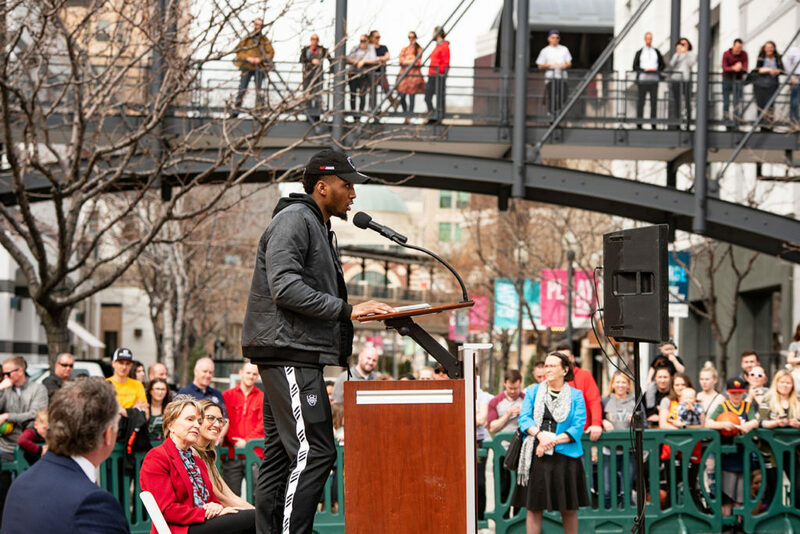 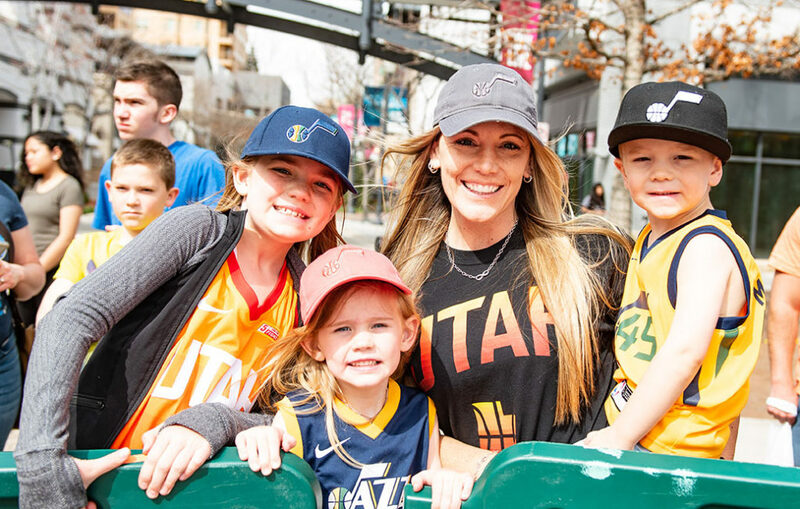 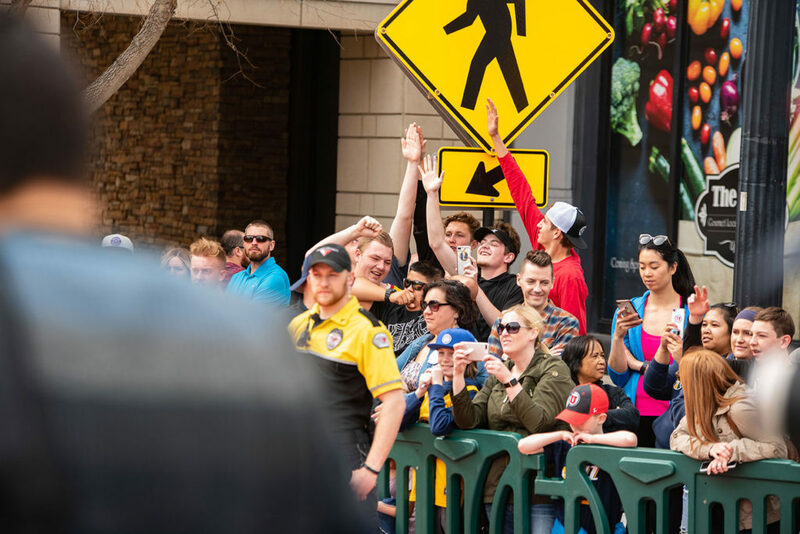 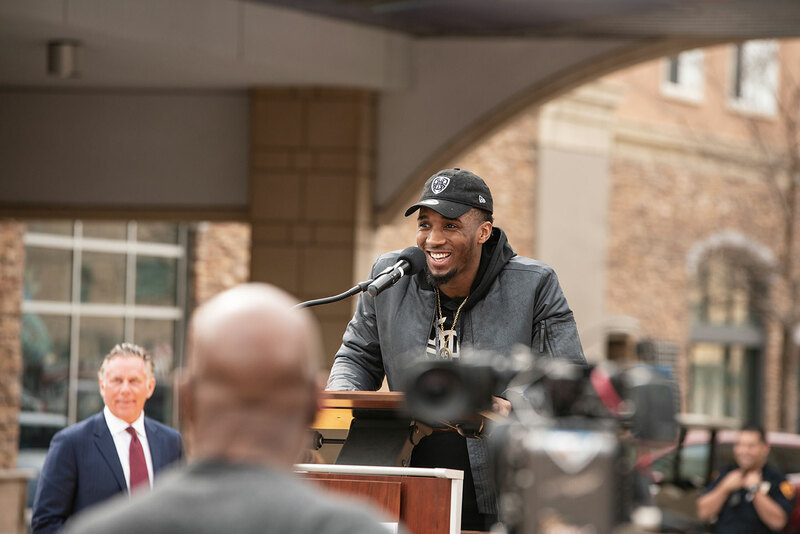 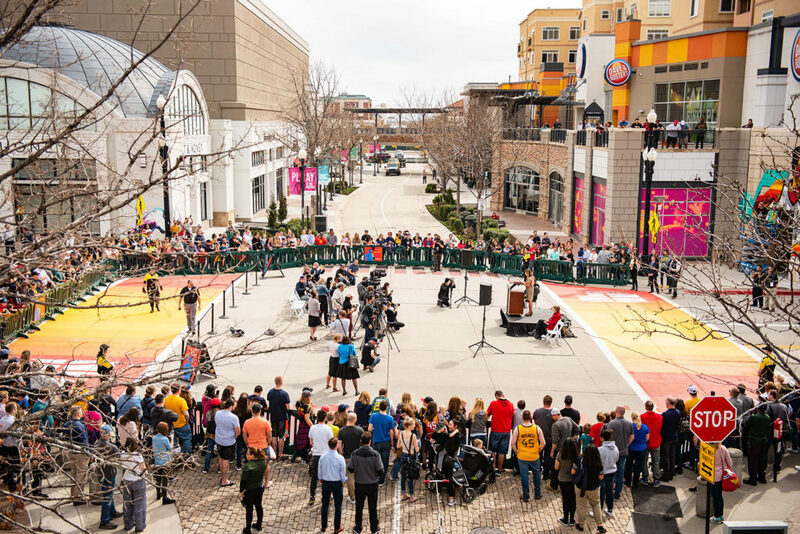 The Donovan Mitchell Bridge sits along the path of other Utah Jazz greats like Karl Malone Drive (100 South) and John Stockton Drive (300 West), a symbol of the promise the future holds for both the Utah Jazz and The Gateway.